minecraft survival | Surviving Minecraft, Minecraft Adventures! A fun new minecraft survival island map, SkyCore is a mix of SkyBlock and Survival Island. You spawn on a small island in the sky, but instead of floating in the void, you are floating above the ocean. Unlike survival island however, you can’t just dig down until you hit unlimited resources – no, you must use your sky survival skills to carve out a niche in this brave new floating world. Learn more and download this sky survival map! This entry was posted in Survival Maps and tagged minecraft survival, minecraft survival map, survival island map on February 21, 2013 by Hope. 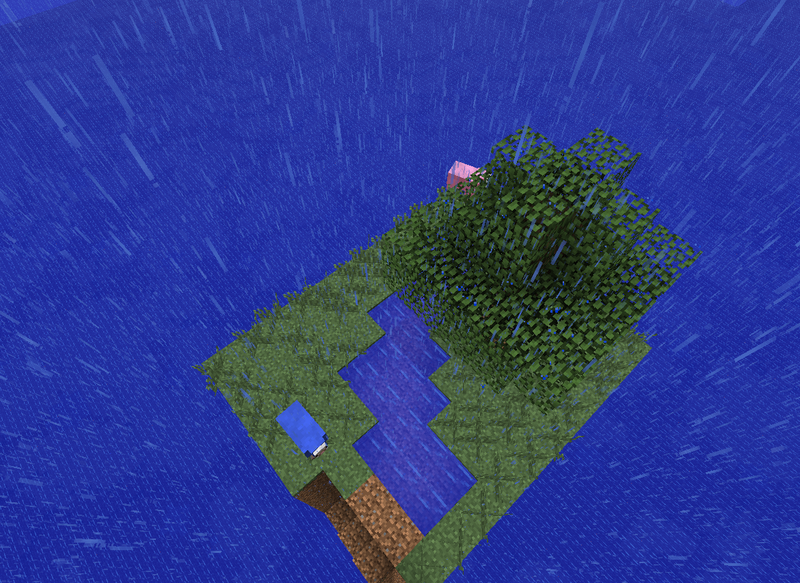 Swampcore is a variant of flatland survival (or flatcore survival, where one must try to survive in a vanilla flat map on the hardest minecraft setting.) Swampcore kicks things up a dozen notches by dropping you into a world of extremely limited resources. The only bright spot on the horizon is the fact that although resources are scarce, you can beat the game if you use your head. Check out settings for minecraft swampcore! This entry was posted in Survival Maps and tagged flatcore, minecraft survival on December 24, 2012 by Hope. Save the Cows is a goal oriented Minecraft Survival Map. You begin your journey as a pilgrim to Palm Island, where you had planned to simply leave a tribute to the local god and return to the ocean as an adventurer. But as you leave your offering, you can’t help but notice two cows marooned in the distance. The god of Palm Island has long forbidden the consumption of beef, but if you can rescue those cows, you can return tasty steaks to the world at large. This entry was posted in Survival Maps and tagged minecraft island map, minecraft survival, minecraft survival adventure, survival island map on November 19, 2012 by Hope.